You know how this story goes: acclaimed foreign film opens in the United States, gets great reviews but is overlooked by most audiences. So a few years later we get an English-language remake with bigger stars attached. 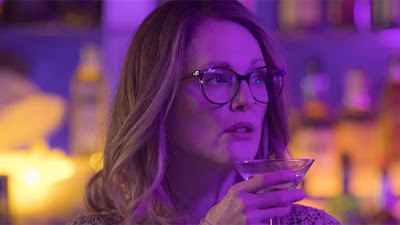 The difference in the case of Gloria Bell, a remake of Sebastian Lelio's 2013 film Gloria, is that the original director is back behind the camera, and he'll be working with Oscar-winner Julianne Moore in the title role. The first trailer for Gloria Bell has Moore in the most spirited role she's had in years. The film centers on a divorcee who is seeing her youth slip away, so she decides to spend her free time dancing the night away on the club scene. There she learns to love again, and come to grips with her past in an effort to move forward in her life. Paulina Garcia won the Silver Bear at the Berlin Film Festival for her performance in the original film, and it looks like Moore could be due for some honors herself. Moore received a ton of praise after the TIFF premiere a couple of months ago, and I suspect that will continue. Lelio has also become a critical favorite lately, having directed both Disobedience and A Fantastic Woman recently. Also starring Michael Cera, John Turturro, Jeanne Tripplehorn, Brad Garrett, and Sean Astin, Gloria Bell opens March 8th 2019.